Alzheimer's disease is a neurological ailment associated with cognitive impairment, difficulty in logical reasoning, and several other behavioral and psychological changes. The disorder is progressive in nature – what starts as mild forgetfulness and confusion in most Alzheimer's patients, culminates into the severe loss of memory and inability to perform the tasks of daily routine. As the disease progresses and the patients become wary of their mental condition, the abnormal psychological behavior also kicks in. They often develop apathy and social withdrawal. They behave irrationally due to loss of memory of certain events or phases. The patients may also report bipolar behavior and mood swings. The exact cause of the disorder is not known completely. 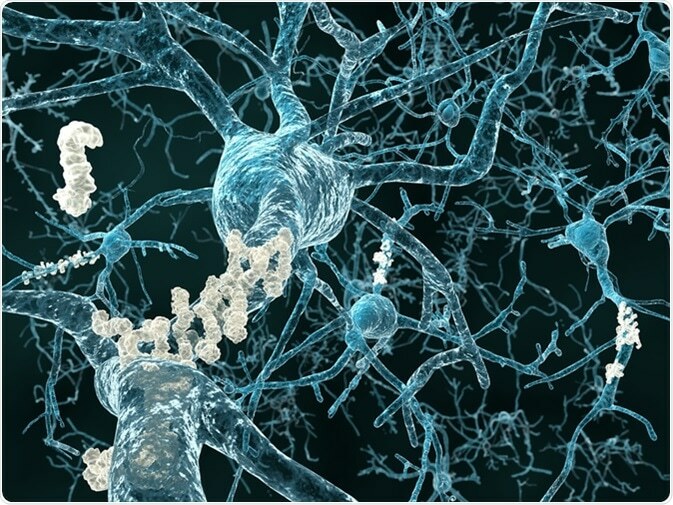 However, the classic pathophysiology of the brain of an Alzheimer's patient includes the formation of neurofibrillary tangles of ‘tau’ protein strands and plaques of amyloid beta-peptides. These, along with imbalance of several neutrophins and cytokines in the brain cells, result in a synaptic and neuronal loss, which further causes shrinkage of tissues in the hippocampal circuitry of the brain. The familial and genetic link is considered as the biggest risk factor that involves Apolipoprotein E4 (ApoE4) gene mutations. Autosomal mutations in PSEN1, PSEN2, and less commonly in APP genes are also seen in Alzheimer's patients. Apart from genetic factors, researchers have also found a strong evidence of the involvement of environmental and lifestyle-related risk factors in Alzheimer's. That is where the role of diet in Alzheimer's comes into the picture. The excessive consumption of processed foods, complex carbohydrates, and sugar triggers the production of toxic substrates in the body. These compounds cause inflammation and generation of plaques in the brain, and eventually impaired cognition. Certain commonly consumed food items such as pasta, cheese, white bread, and processed meat are often linked with Alzheimer's. Even the whole grain bread is also considered harmful by some of the scientists as it causes spikes in blood sugar level, which is a major cause of neuronal inflammation. Also, the diet containing nitrates such as microwaved popcorn, beer, or margarine is also linked to Alzheimer's. Unfortunately, these food items are widely consumed in many countries. Nevertheless, when consumed in moderation, and balanced with other healthy diet items, these foods do not pose a direct risk of Alzheimer's. Mediterranean-DASH Intervention for Neurodegenerative Delay (MIND) diet is a close comrade of heart-healthy diets (also known as “Dietary Approaches to Stop Hypertension [DASH]” diet). Doctors consider MIND diet as a serious management approach for Alzheimer's. It reduces the risk of developing Alzheimer's by more than 50% and improve cognitive function in the patients by more than 30%. In a study published in Alzheimer’s Dement in 2015, high adherence to the MIND diet along with the DASH and Mediterranean diets, may help reduce the risk of developing Alzheimer's disease. Moreover, the moderate adherence to the MIND diet may also decrease one’s risk. The cerebral uptake of glucose is impaired in Alzheimer's due to the generation of plaques and tangles. Hypometabolism of glucose in the brain is an early sign of Alzheimer's, and hence a therapeutic intervention point. Ketone bodies are produced naturally when the body is deficient in glucose. It has been observed that these ketone bodies can be utilized when the brain is deprived of oxygen. Several preclinical and clinical trials have been conducted, which showed that consumption of low-carbohydrate ketogenic diets, as well as direct consumption of ketone bodies, was helpful in alleviating Alzheimer's symptoms. However, the mechanism by which the brain cells utilize ketone bodies for neurological functions needs to be established, and further evidence needs to be collected for confirming the benefits of using ketogenic diet in Alzheimer's.